Designer Oscar de la Renta was mourned Tuesday in the Dominican Republic as a native son who brought glamour and prestige to a largely poor country better known for baseball and beaches than elegant evening wear, the Associated Press reports. The death of the style icon Monday at his home in Connecticut came as Dominican designers, some mentored and inspired by de la Renta, gathered in the capital for their country’s Fashion Week, for which he provided advice over the years and where he showed off designs in 2010. 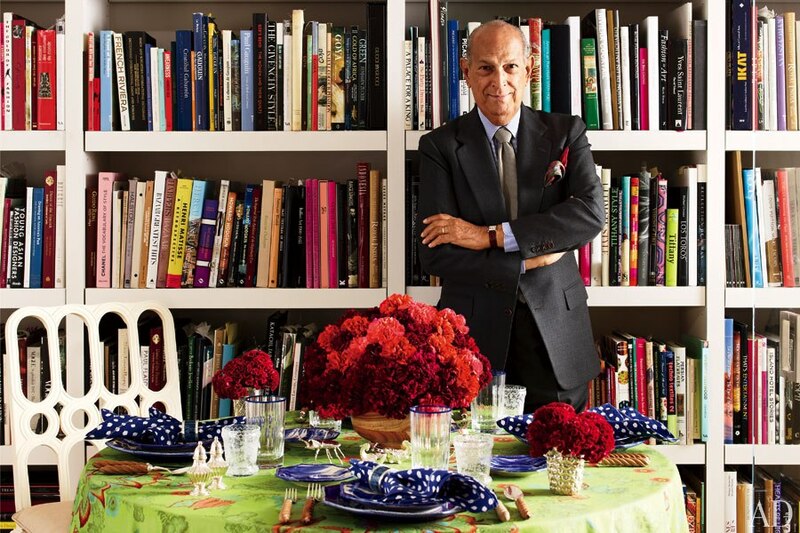 To Lirio, de la Renta was an artistic inspiration, someone whose designs were both functional and beautiful. “To Oscar de la Renta, fashion wasn’t vanity, it was an intrinsic aspect of society, of the history of every nation,” he said in an interview with The Associated Press. De la Renta was born in the Dominican Republic in 1932 and left the Caribbean country at age 18. At the time of his death, he maintained a home in the exclusive resort community of Punta Cana, where he played host to celebrities such as singer Julio Iglesias and former U.S. President Bill Clinton. He was known for contributing frequently to charity and providing assistance to the government, such as when he designed the uniforms for the National Police in 1999 at no cost. In 2012, when he opened a new boutique in Punta Cana, he donated the proceeds of the initial sales to a school for low-income kids and he worked with Vice President Margarita Cedeno, the former first lady of the Dominican Republic, on a program that helped the poor gain job skills and income by designing dresses, some of which were on display this week. Before his death, organizers of Fashion Week planned to petition the government to name a street for de la Renta. “It’s not just an homage; it’s an act of justice,” said Socrates McKinney, artistic director for the event. The campaign seems likely to gain traction in the country where de la Renta enjoyed wide respect. President Danilo Medina declared that Wednesday would be an official day of mourning in the country for the designer and announcing that a government delegation, led by his wife, would attend the funeral in the U.S.
Medina said via Twitter that the designer has been “a great defender of the national interests” with his art and contributions to social programs. Vice President Cedeno wore a gown designed by de la Renta as she spoke to reporters on Monday night, recalling his participating in various charitable efforts in the country over the years. “Today, we cry at your departure, but we honor your memory,” she said later on Twitter.